Just days after a fatal railroad crossing crash in San Leandro CA, police were well into their investigation of what caused the wreck that killed a woman and her three year old daughter. Vanessa Henriquez, 30, and her 3-year-old daughter, Saidy, were in an SUV that got trapped between railroad crossing arms and several other cars when it was hit by an Amtrak train traveling nearly 80 MPH. According to local police, the intersection and railroad crossing is unusual because it allows multiple cars to build up between the railroad crossing arms. 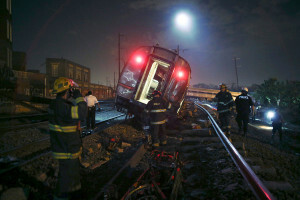 They noted that even if the driver can see an oncoming train, there is nowhere to go. As experienced railroad crossing accident lawyers in Virginia, we know that these wrecks can have devastating consequences for the occupants of the vehicle. These accidents happen too often; the Federal Railroad Administration states that railroad crossing crashes happen every 12 minutes, with 9570 accidents occurring in 2009. There are many reasons that railroad crossing accidents happen, and not all of them are due to driver error. 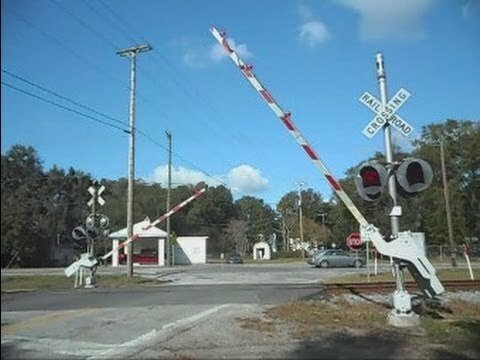 One of the common problems is that the railroad fails to properly maintain the railroad crossing, which leads to vegetation obscuring sight lights. In other cases, the safety gates may fail, and sometimes a car can get stuck on the tracks. We do not have enough information on the above tragedy to know if that occurred here. If we worked on that case, we would review data from the locomotive cameras, black box data event recorders and signal information to determine if there was any failure on the part of the railroad company. From what the police stated, it sounds as if the entire design of that intersection could be hazardous, and that fact would also be closely scrutinized by our attorneys if we represented the grieving family. The Federal Transit Administration (FTA) has ordered the Washington Metrorail system to take immediate action to reduce the chances of smoke and fire problems after a tunnel fire last week that forced metro officials to close a station for the evening. The FTA has issued the new safety orders that mandate that the transit agency pinpoint power hot spots and to engage in immediate repairs in those high risk areas. FTA also has ordered Metro to engage in immediate training sessions with employees to boost emergency planning. This federal directive has come down after there were two separate smoke and fire emergencies near the Federal Center metro stop last week, forcing the closing of the entire station. The FTA noted in its directive that early information showed that the transit authority’s responses to the emergencies were slow and inadequate. The National Transportation Safety Board (NTSB) also has sent out its own recommendations to Metro, but this was right before the transit agency outlined its new, massive rehabilitation plan that will shutter large sections of the entire Metro system for a full year. This plan will require major repairs and upgrades that will take weeks and months in some areas. These most recent incidents are just the tip of the iceberg for Metro. Last year, there was a tunnel fire near the L’Enfant Plaza station that killed one person and left dozens with smoke inhalation injuries. Attorneys representing those Metro passengers recently filed 87 personal injury lawsuits against the transit authority. We are glad that Metro is finally going to be engaging in long-needed repairs to its systems in the DC area. Injuries involving chemical or smoke inhalation are very serious, and it requires the services of a highly experienced railroad injury attorney to gather the evidence and to work with doctors and other professionals, including a toxicologist, to show that respiratory injuries were a direct result of the metro accident. The Federal Railroad Administration just released its list for the worst and most dangerous railroad crossings in the US, and a notorious railroad crossing in Alabama made that list. However, state officials in Alabama claim that the problem has been fixed. The majority of the problem railroad crossings are in heavily populated areas such as Phoenix, Baton Rouge, Memphis and Cleveland. However, the crossing in Evergreen AL on I-65 with a population of 4,000 people also made the list. FRA states that the crossing has had 13 accidents in the last decade, and five fatalities; that is the highest number of deaths for any single crossing on the list. Local witnesses who live near the Evergreen crossing have described the train crashes they have seen. They noted in some cases, cars that were waiting in the intersection were caught on the railroad tracks. The mayor for the town stated last year that he had ‘raised hell’ since 2010 to get safety gates on the crossing. They finally were added in 2013, and that seems to have fixed the dangerous problem. Our railroad accident lawyers in Virginia, West Virginia and North Carolina have seen many railroad crossing accidents over the years. We had a railroad crossing case in Prince William County VA where our client was hit by a freight train. The impact caused the car to spin off the road but fortunately, neither the man or his children were killed. Both children suffered facial and head injuries. Our investigation determined that the train crew had not acted improperly as they were not required to blow their whistle at that rural crossing. However, we also looked at the vegetation and brush around the track and reviewed the police officer’s notes, and we found that the driver could not see the train until the last second. We demanded a settlement from both the client’s insurance company and Norfolk Southern.